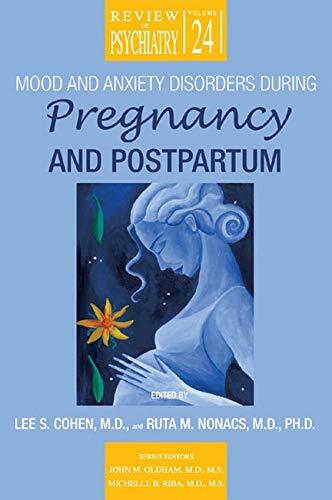 [PDF] Mood and Anxiety Disorders During Pregnancy and Postpartum (Review of Psychiatry) | Free eBooks Download - EBOOKEE! Description: Mood and Anxiety Disorders During Pregnancy and Postpartum earns its important place in the literature by detailing our current understanding of the course, diagnosis, and treatment of psychiatric illness during pregnancy and postpartum, including breast-feeding a top priority today because we now know that active maternal psychiatric illness during pregnancy and postpartum can exert long-term negative effects on child development and cause significant morbidity for the mother. 2018-01-08[PDF] Algebra and Trigonometry Review to Prepare for Calculus in College: This is a precise isolation of the most important information from Algebra and Trigonometry in order to be prepared for Calculus. No comments for "[PDF] Mood and Anxiety Disorders During Pregnancy and Postpartum (Review of Psychiatry)".